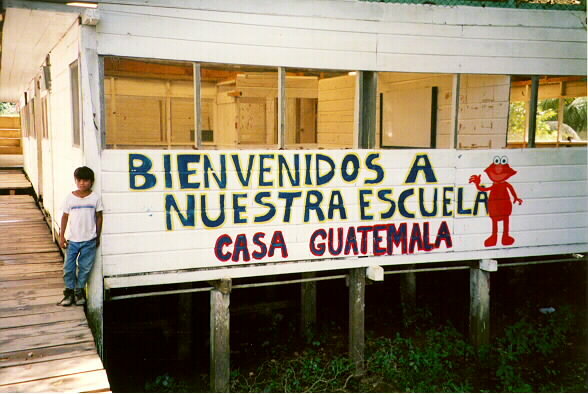 CASA GUATEMALA is a non-political, non-sectarian charitable organization dedicated to helping children. 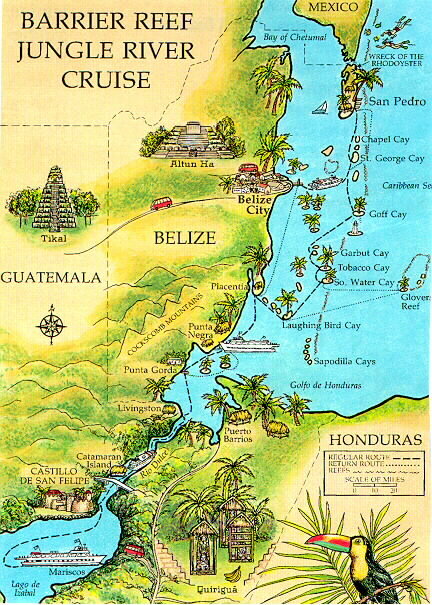 It is supported solely by private contributions from around the world, receiving no funding from the government of Guatemala. 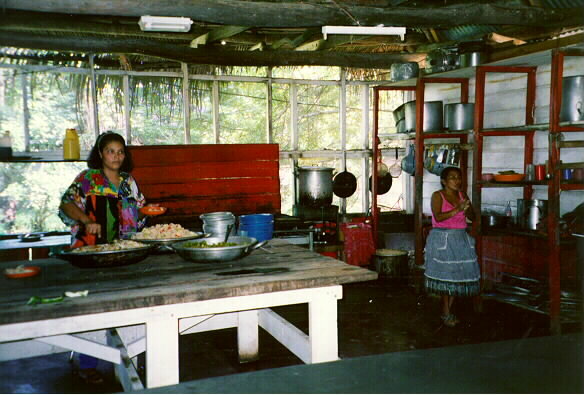 Casa Guatemala is an organization with twenty years experience, helping malnourished children. 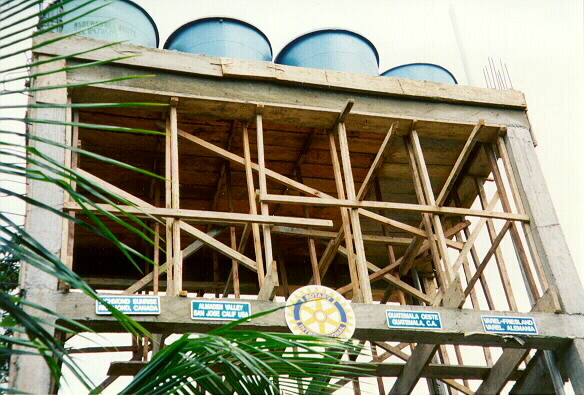 It shelters, protects, and educates orphans and abandoned children. 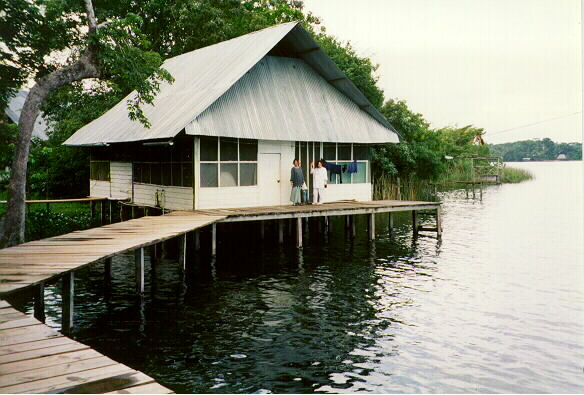 CASA GUATEMALA provides services both in Guatemala city and at its rural facilities on the Río Dulce. 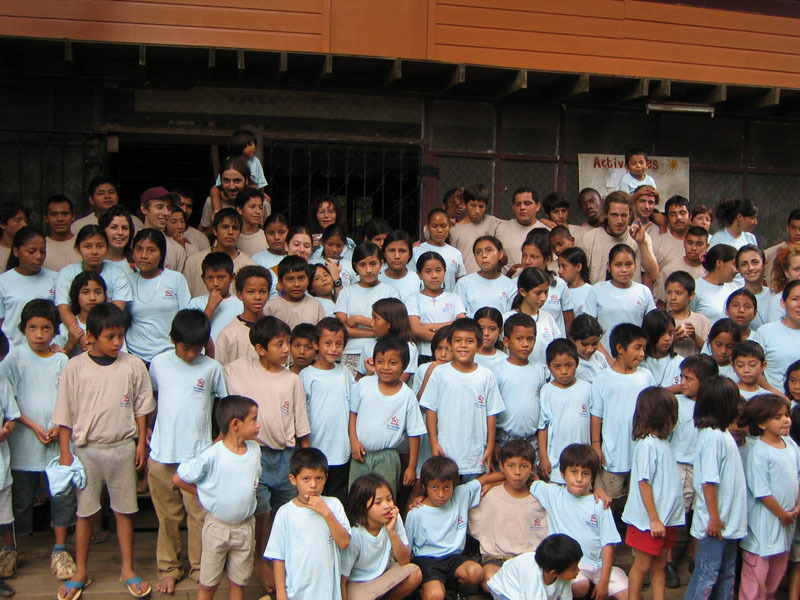 After twenty years work, CASA GUATEMALA has a large number of teenagers. They are going to school or are in training in differents fields. Most of our children do not identify as a member of any family. 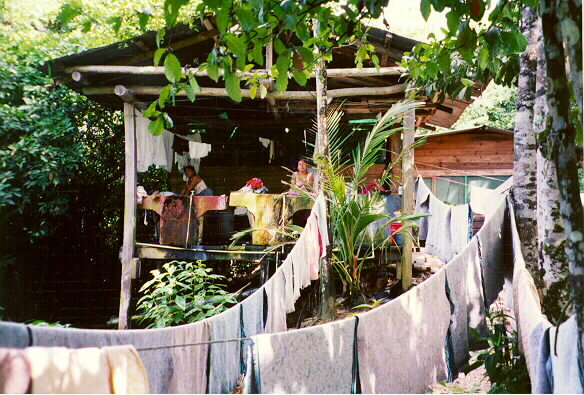 Their home and their family are CASA GUATEMALA. CASA GUATEMALA'S city facilities include an orphanage for 25 children under the age of three, a health clinic and lab, and an intensive care unit for several malnourished infants. More than 4,000 children from impoverished families visit the health center each year. 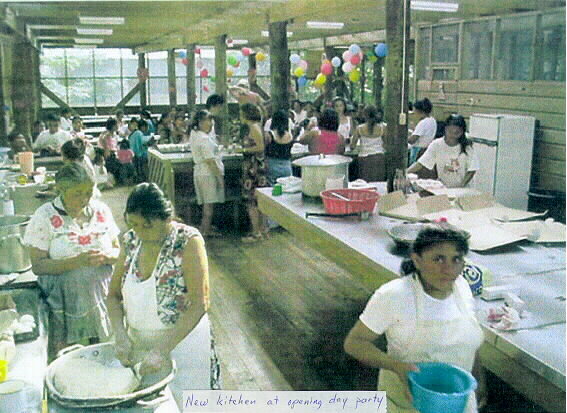 A second center in zone 10 opened in Feb. 1997 to house teenage girls who have grown up in the orphanage. This house is used as a transition for the teenagers from the orphanage to the real world. A place where they can live and have the freedom to go to a public school, take the public bus, and have a job at the same time. The center is run by a Social Worker and a Psychologist. 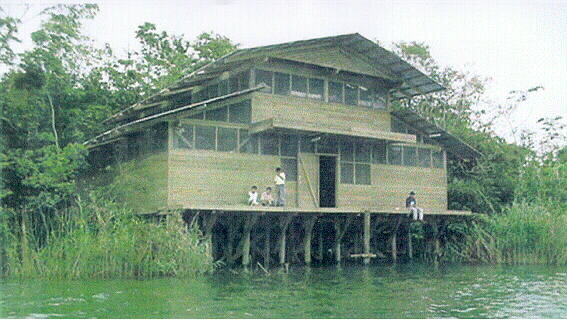 CASA GUATEMALA'S Rio Dulce project is in the country's eastern rainforest. It serves abandoned and orphaned children from throughout the country. 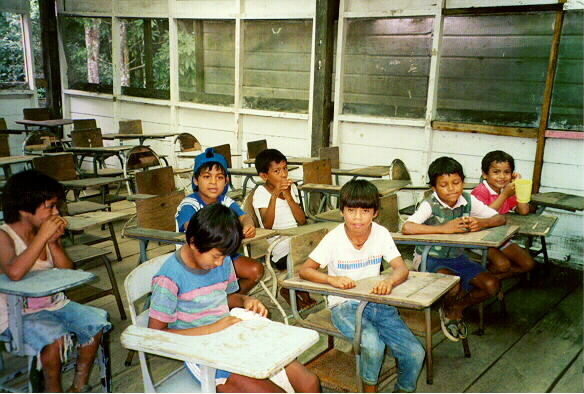 Situated on the banks of the Rio Dulce River at the edge of the jungle, the project's rural setting provides a socially healthy atmosphere for over a hundred homeless children. Most of these children are wards of the state and ineligible for adoption. This program strives to create a true community and to provide the children with the education, training, love and guidance they need to become responsible and productive citizens. Integration of the institution into the daily life of the neighboring villages is actively promoted, opening a larger world for the children and helping them to overcome the sense of isolation often experienced by children raised in orphanages. 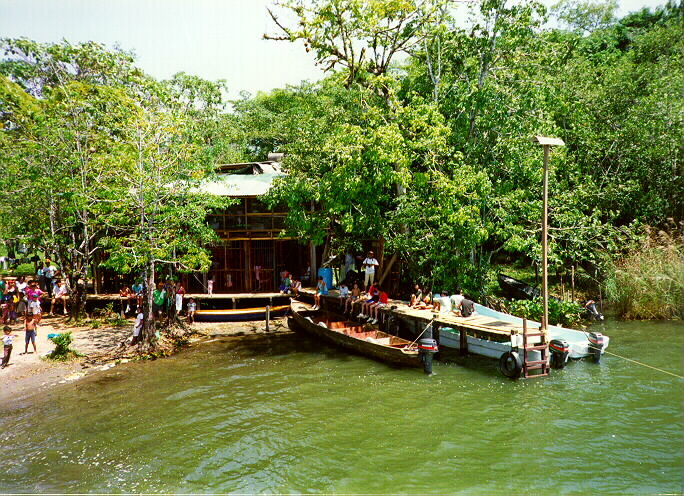 The Rio Dulce project is a valuable asset to the local population of Kekchi speaking Indians who live in relative isolation and poverty. This population, now for the first time, has access to free medical care and schooling. 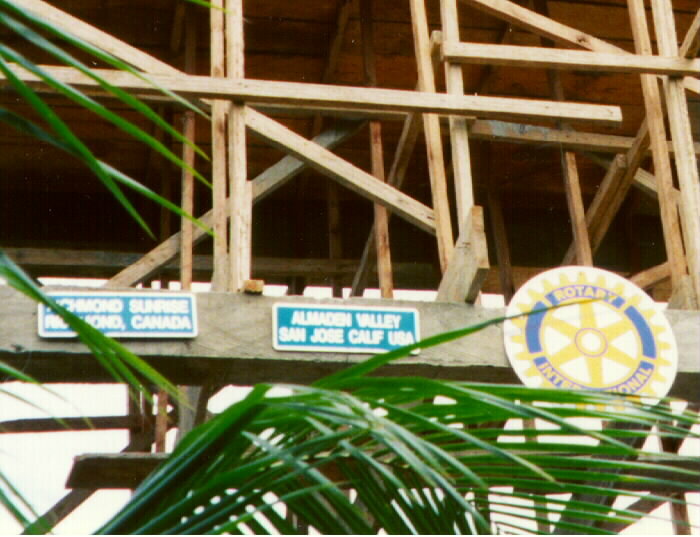 The project also provides them with employment, health training, clothing donations, nutritious meals for the school children and use of the orphanage's mill for grinding corn. This project includes a farm used to teach sustainable agriculture techniques and will hopefully allow self-sufficiency in food production. 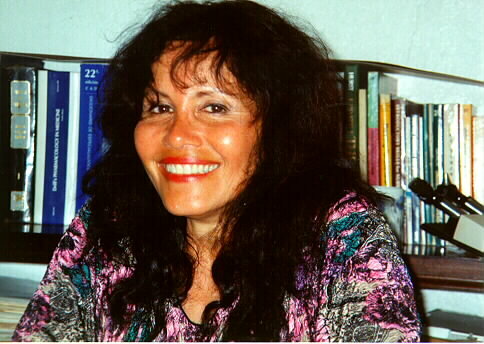 A letter from Angie de Galdamez is HERE which describes her needs for Casa Guatemala for the year 2007. 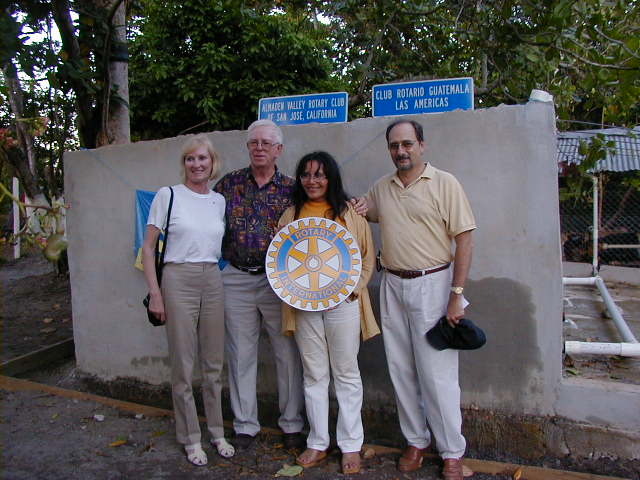 In November, 2005 the Almaden Valley Rotary Club made a donation to Casa Guatemala of $5000. Of that total $2000 was earmarked for four children to have cleft palate surgeries. The second grant of $3000 is being used for the day to day costs of operating the orphanage. Angie responded: "The program with the cleft and palate surgeries is a very important program, we desperate need this support to extend our help to those who can not reach the proper medical care to correct this birth defect, thanks so much. All children in the orphanage thanks you so much for your concern about the dayly living expenses. Definitive this is a very generous support, and it will help a lot. 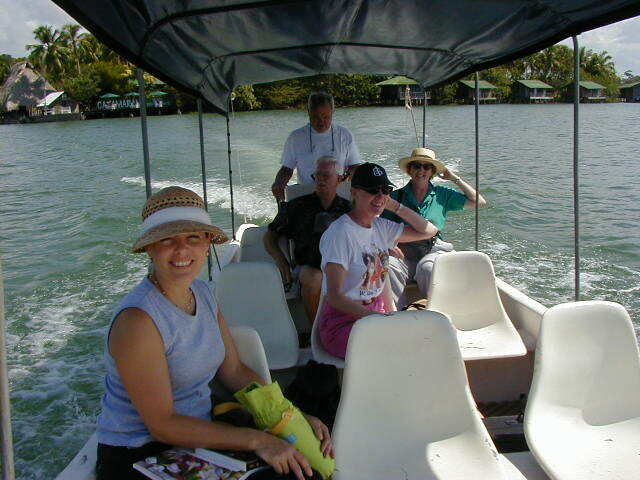 Thanks to all the nice people and specially to you (Earl) and Barb. 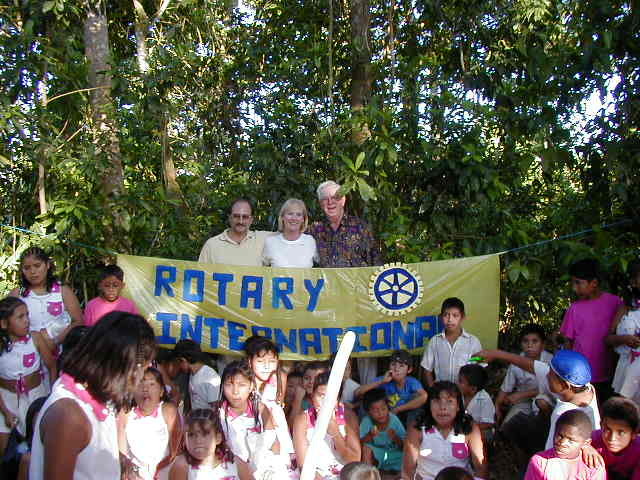 Love you, Angie and the children"
Almaden Valley Rotary and the Las America Rotary Club of Guatemala City participated in a matching grant project which purchased two outboard motors and the building of the fish pond. 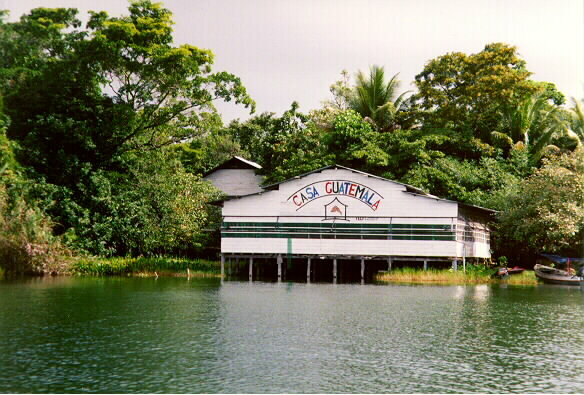 The fish pond holds 10,000 fish. 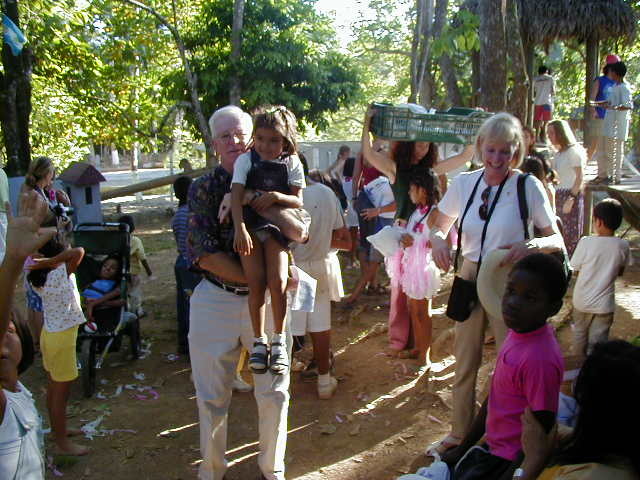 Earl and Barbara McIntosh and Marianne McCarthy visited Casa Guatemala in April. 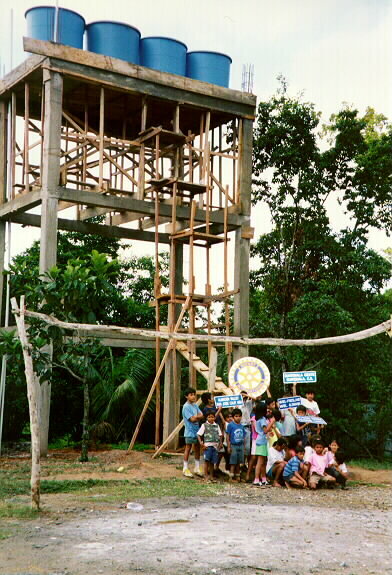 Almaden Valley Rotary participated in a project to provide water storage tanks to the Rio Dulce project. Earl McIntosh travels by boat to see the project come to fruition. 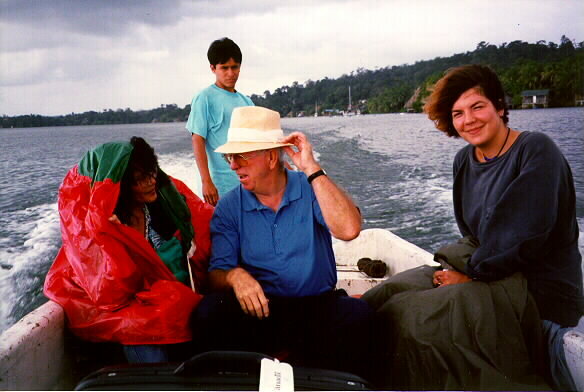 Earl with Angelina de Galdamez, the Director and Dr. Arturo Cazalli, a part-time volunteer. 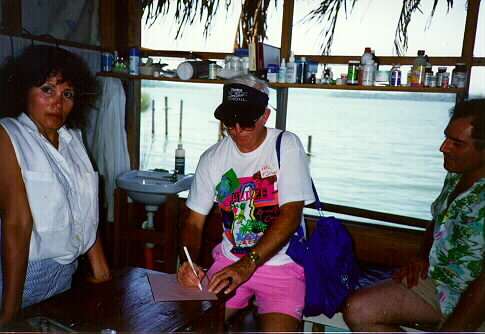 Check out the PINK shorts.